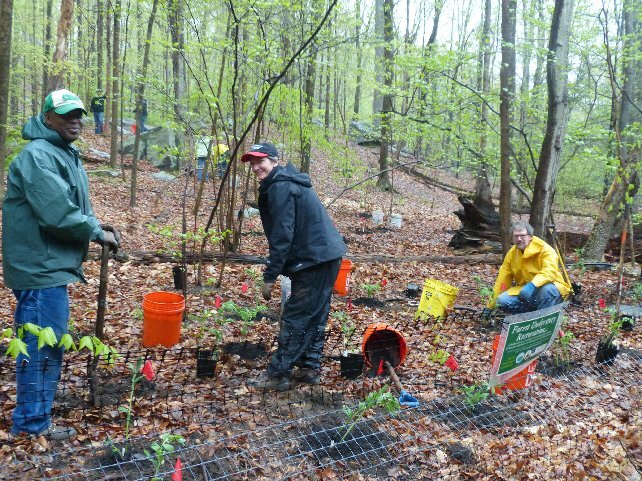 On Thursday, May 8th, 2015 volunteers completed the first phase of a new “Urban Oasis” in Mianus River Park. Connecticut is on the Atlantic Flyway, one of the major routes for birds migrating between South America and the woodlands of Canada. Many of these amazing creatures fly as much as 6,000 miles on their journey, often going for days without stopping to rest. With increased urbanization, birds often find it difficult to find places to find food and shelter. Many die on their journey and others arrive too weak to reproduce. An Urban Oasis is designed to provide high quality natural habitat with food and shelter for these migrating birds. 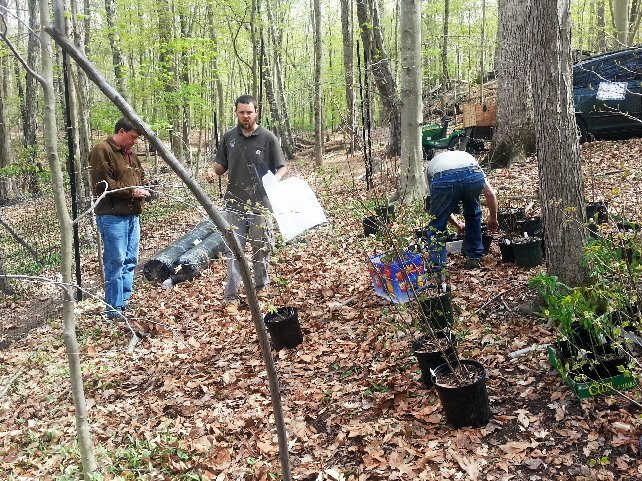 Friends of Mianus River Park and Audubon Greenwich began planning the oasis in Mianus River Park over a year ago, supported by The City of Stamford and by Treetops Permaculture of Stamford. 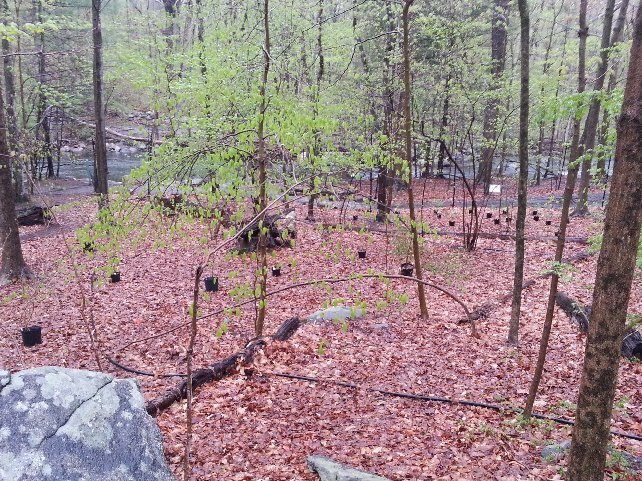 An already fenced area between River Road and the Mianus River was chosen for the oasis; soil tests were taken; and native, shade tolerant, bird friendly plants were chosen and purchased. Greenwich Audubon funded the project from generous donations it received. 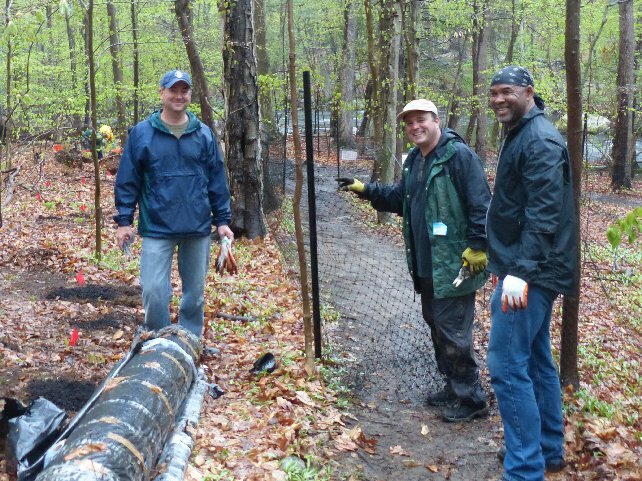 Friends group volunteers were joined by a large group of employees from Aquarion Water Company and, despite rain, new high fencing was erected to protect the oasis and around 150 plants were put in place. 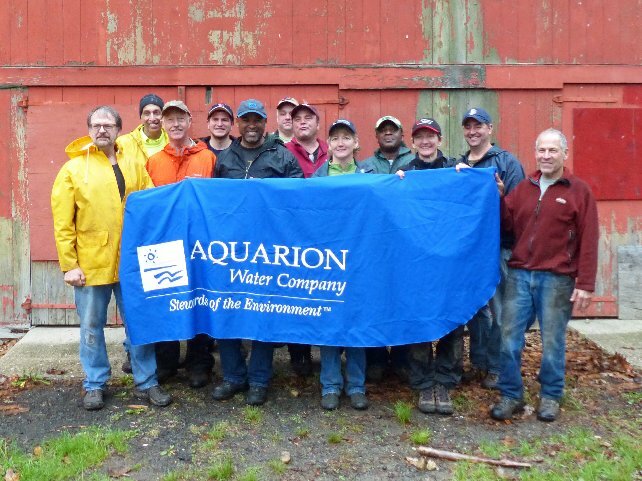 Aquarion also made a generous donation. The Friends group installed an irrigation system in the oasis and group volunteers will water the new plants during the summer months. Future phases of the project will include significant additional plantings and educational signs explaining the urban oasis and giving guidance on how individuals can also help migrating birds.